Hello and happy Monday! 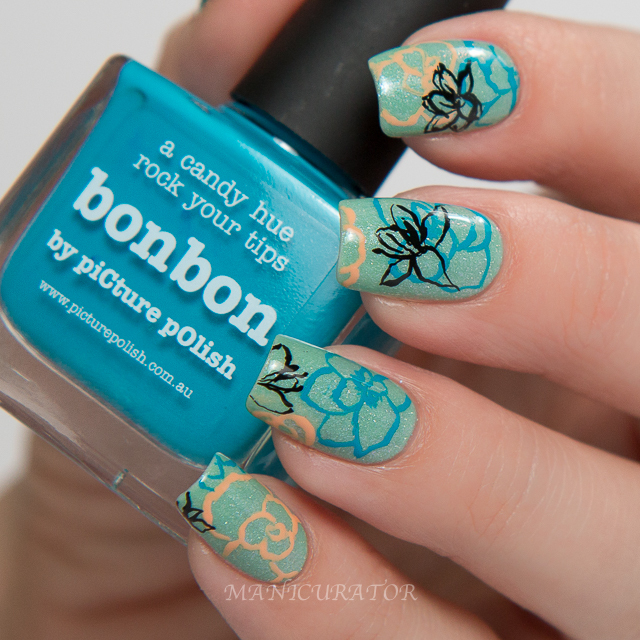 I'm excited to be sharing my creation for piCture pOlish's new Nail Art Quarterly. piCture pOlish has always been a brand that encourages and supports not just the blogging community but the nail art component and I am grateful for that. 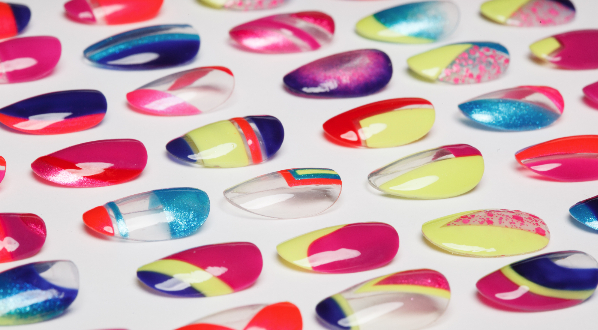 I have discovered many amazing talented ladies through piCture pOlish! 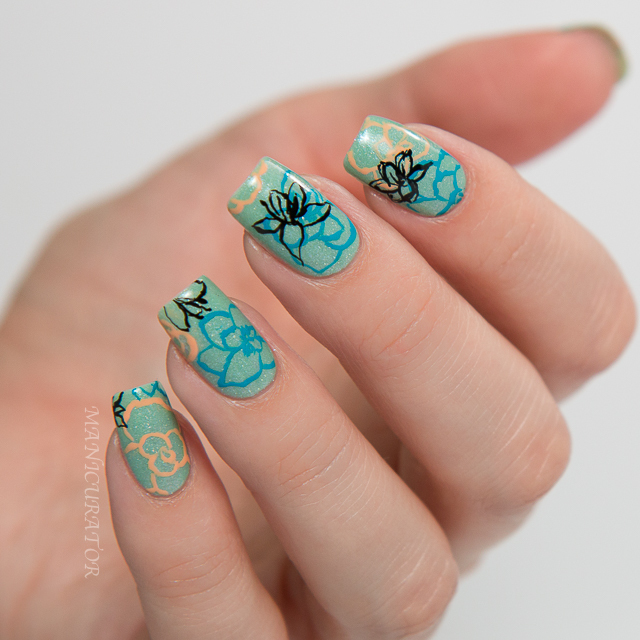 SO the theme given to us participating this time was "Flower Power" and the catch...it must use no more than 3 PP shades (no other brands/shades but white or black allowed for accent) AND it must be freehand! Well that is a challenge! Take a look what I created! 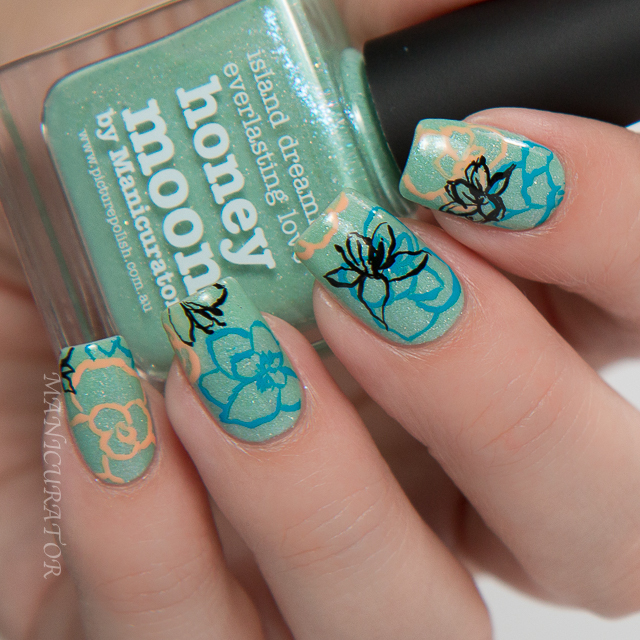 I must confess, my inspiration was formulated around using my piCture pOlish shade, Honeymoon. So I needed to choose shades that I already owned..that paired well with my shade. And I knew I wanted this outline, airy feel for the nails! I've been practicing my thin lines! 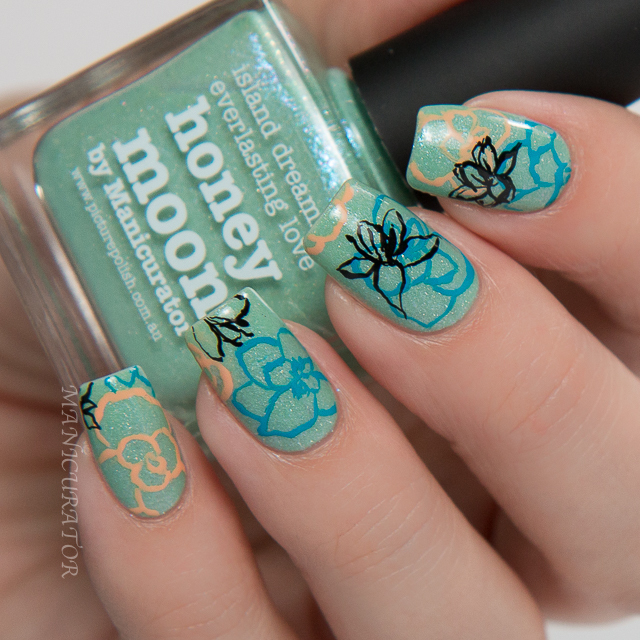 I used 3 thin coats of Honeymoon and then free handed flowers using Bonbon and Gelato. 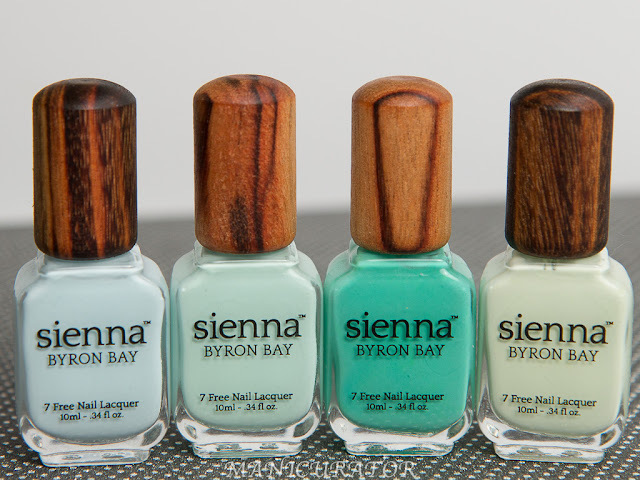 They were super easy to work with and highly pigmented. I wanted the focus to be on the polish colors themselves so I didn't overdo it with design. 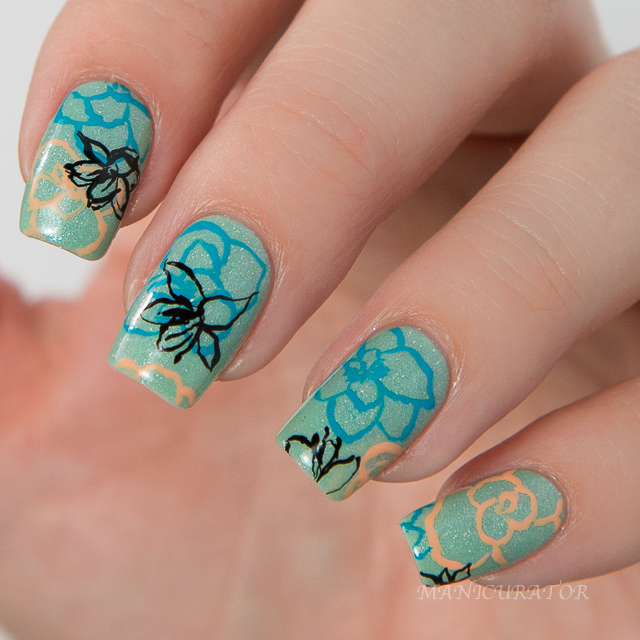 I added accent flowers with black acrylic paint, keeping with the outline, artsy, airy feel. Loving this juicy sherbet like orange! And lastly, this is a perfect blue. 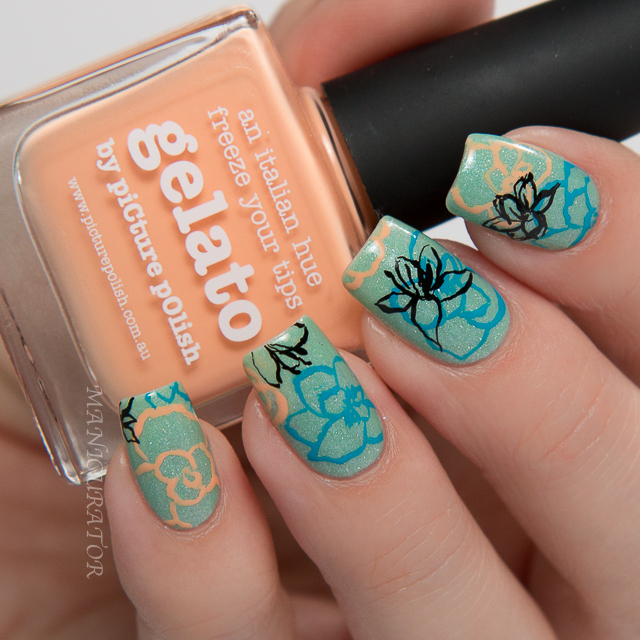 I think the shades contrast and pop and work well together!